Everyone wants to sacrifice the best as per their ability to afford. 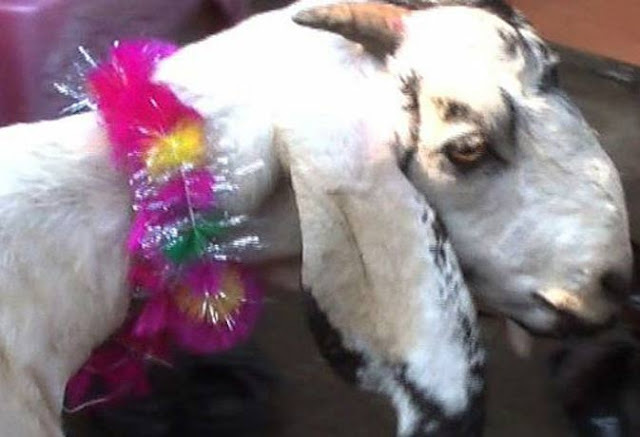 Eid ul Azha is celebrated world wide by Muslim community but the way it is celebrated in Pakistan is outstanding. Some say people have made this prestigious event a chance to show their worth and their power to purchase, however many say it is an act of kindness and it should not be judged. 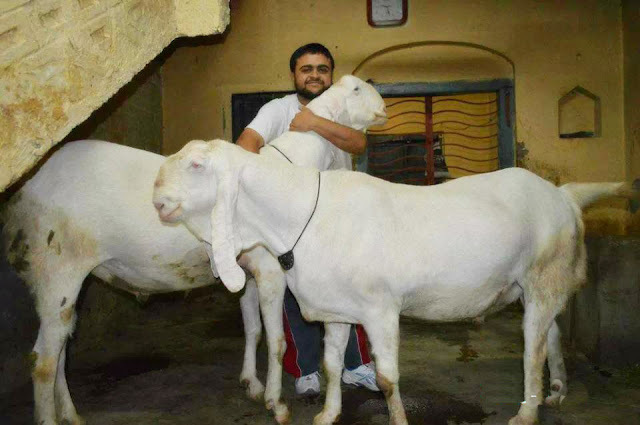 If you got a chance to visit any bakra-mandi to purchase an animal for Eid ul Adha, then you probably have a good idea about the average prices of animals, specially goats. 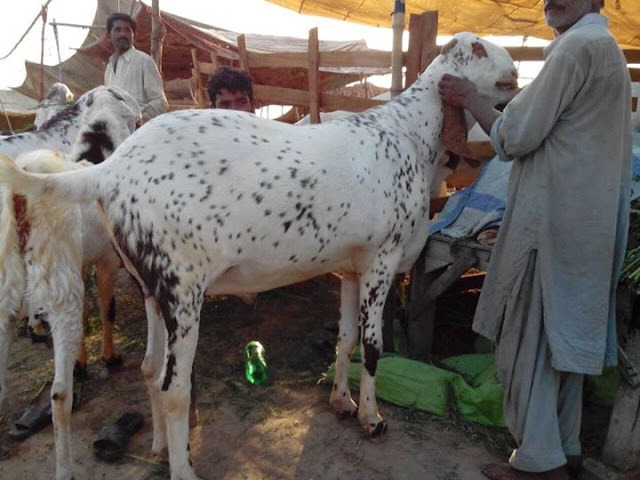 As per my visit to a number of cattle markets, I found the average price of a goat 35,000 rupees and average price of a cow was more than 100,000 rupees in Lahore. There are many people who are financially good enough to purchase one of the most expensive animals to sacrifice. Here is list of most expensive goats. As taller as an average person. 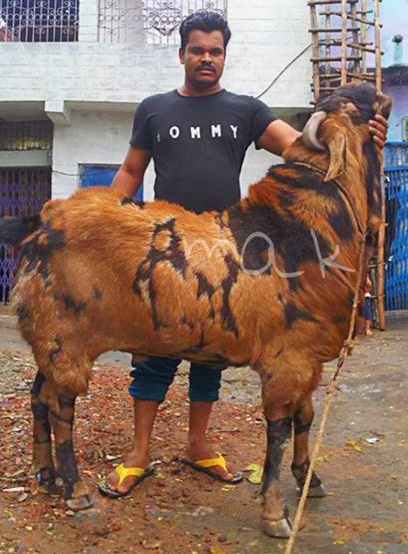 Sold for 1.5 lakh rupees. Looks normal. 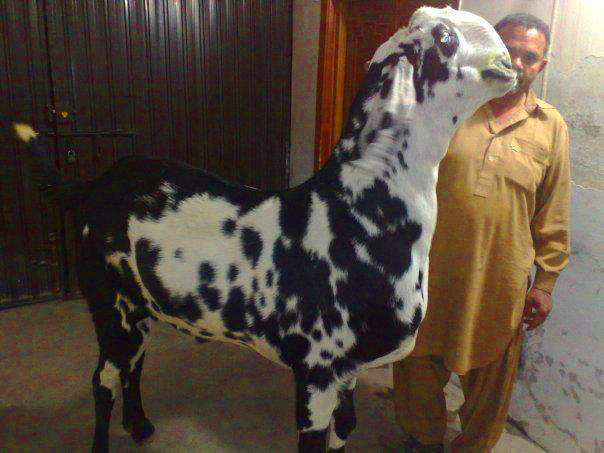 But actually it is rare specie of goats and it is all white. The pair looks great. And its owner wants a good deal of money for it. Saw it in Pattoki market. 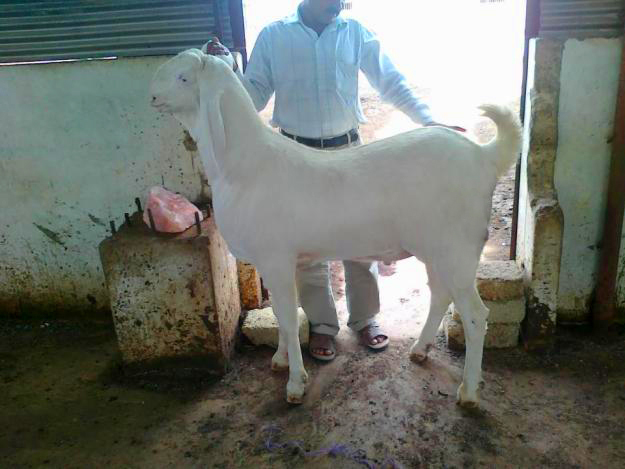 Pahari goats normally get this taller. So, this one is special. Taller than an average person. They look worth it. Isn't it? 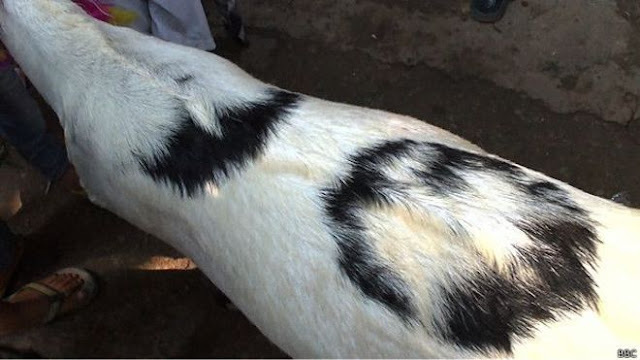 This Bakra got also featured on BBC's regional website as it has Islamic words written on it naturally.